Alfie Kohn writes and speaks widely on human behavior, education, and parenting. The latest of his eleven books are THE HOMEWORK MYTH: Why Our Kids Get Too Much of a Bad Thing (2006) and UNCONDITIONAL PARENTING: Moving from Rewards and Punishments to Love and Reason (2005). Of his earlier titles, the best known are PUNISHED BY REWARDS: The Trouble with Gold Stars, Incentive Plans, A’s, Praise, and Other Bribes (1993), NO CONTEST: The Case Against Competition (1986), and THE SCHOOLS OUR CHILDREN DESERVE: Moving Beyond Traditional Classrooms and “Tougher Standards” (1999). 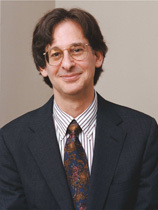 Alfie Kohn has been described in Time magazine as “perhaps the country’s most outspoken critic of education’s fixation on grades [and] test scores.” His criticisms of competition and rewards have helped to shape the thinking of educators — as well as parents and managers — across the country and abroad. Kohn has been featured on hundreds of TV and radio programs, including the “Today” show and two appearances on “Oprah”; he has been profiled in the Washington Post and the Los Angeles Times, while his work has been described and debated in many other leading publications. Kohn’s various books have been translated into Chinese, Japanese, Korean, Spanish, German, Swedish, Dutch, Portuguese, Hebrew, Thai, Malaysian, and Italian. He has also contributed to publications ranging from the Journal of Education to Ladies Home Journal, and from the Nation to the Harvard Business Review (“Why Incentive Plans Cannot Work”). His efforts to make research in human behavior accessible to a general audience have also been published in the Atlantic Monthly, Parents, and Psychology Today. His many articles on education include a dozen widely reprinted essays in Phi Delta Kappan: “Caring Kids: The Role of the Schools” (March 1991), “Choices for Children: Why and How to Let Students Decide” (Sept. 1993), “The Truth About Self-Esteem” (Dec. 1994), “How Not to Teach Values: A Critical Look at Character Education” (Feb. 1997), “Only for My Kid: How Privileged Parents Undermine School Reform” (April 1998), “Fighting the Tests” (Jan. 2001), “The 500-Pound Gorilla” (Oct. 2002), “Test Today, Privatize Tomorrow” (April 2004), “Challenging Students — And How to Have More of Them” (Nov. 2004), “Abusing Research” (Sept. 2006), “Who’s Cheating Whom?” (Oct. 2007), and “Why Self-Discipline is Overrated” (Nov. 2008). Students are not receptacles to be filled with knowledge, or clay to be molded. They, like all of us, are active meaning-makers. The implication, as one educator put it, is that teaching is mostly listening, and learning is mostly telling -- a dictum that requires us to rethink the use of lectures, worksheets, textbooks, and, for that matter, our preconceptions about what makes a good teacher (particularly at the high school level). This presentation by Alfie Kohn, author of WHAT TO LOOK FOR IN A CLASSROOM, explains why the traditional "bunch o' facts" model of instruction, with its emphasis on memorizing right answers and practicing skills, is virtually guaranteed to fail. Participants are invited to consider how teachers of all ages and all subjects can become more successful at helping students make sense of ideas for themselves -- and with each other. The main effect "of the drive for so-called higher standards in schools is that the children are too busy to think," said John Holt in 1959. Today, an ill-informed version of school reform has been embraced by politicians, corporate executives, and journalists, all demanding "accountability," which turns out to be a euphemism for more control over what happens in classrooms by people who are not in classrooms. The results: superb educators get tired or fired, and the intellectual life is squeezed out of schools as they are turned into giant test-prep centers. Alfie Kohn, author of THE SCHOOLS OUR CHILDREN DESERVE, explains the difference between authentic challenge and a mindless "harder is better" mentality, as well as the difference between standards as guidelines for better teaching and standards as rigid (and often ridiculous) lists of facts students must know. The latter is described in this session not as a reality to be coped with but as a political movement that can be opposed -- by people who understand how children actually learn. Educational researchers have discovered that there is a significant difference between getting students to think about their performance (that is, how well they are doing) and getting them to think about the learning itself (what they are doing). These orientations often pull in opposite directions, which means that too much emphasis on performance can reduce students' interest in learning -- and cause them to avoid challenging tasks. When the point is to prove how smart you are, to get a good grade or a high test score, there is less inclination to engage deeply with ideas, to explore and discover. Thus, as Alfie Kohn argues, the problem with standardized testing is not only how bad the tests themselves are, but also how much attention is paid to the results. Even new, "authentic" assessments may backfire if students are constantly led to ask, "How am I doing?" Getting students to become preoccupied with achievement may paradoxically undermine this very goal because of what happens to their motivation in the process..
Teachers are often encouraged to rely on rewards rather than punishments, but research suggests that carrots can be just as counterproductive as sticks. Both are forms of manipulation, and neither can produce anything beyond temporary compliance. In fact, as Alfie Kohn, author of PUNISHED BY REWARDS, will argue, students who see themselves as doing an assignment in order to receive a gold star, an A, or an award are actually less likely to develop an interest in the subject matter or to challenge themselves to do their best. By the same token, stickers, popcorn parties, and even praise give students no reason to act responsibly when there is no longer a goody to be gained for doing so. For students to become lifelong learners and good people, we need to work with them rather than using techniques like rewards and punishments, which merely do things to them. If we want students to take responsibility for their behavior and learning, it is up to us to give them responsibilities. Children learn to make good decisions by having the chance to decide about what happens to them every day -- not by following someone else's directions. Research shows unequivocally that students learn more effectively and care more about what they are learning when they have some say about what is going on. (By contrast, students, like adults, suffer from burnout when they feel powerless.) Alfie Kohn describes the whys and the hows of bringing students into the process of making decisions about everything from how their classroom will be decorated to how their learning will be assessed. Also included is a discussion of limits on children's right to choose and teachers' use of "pseudochoice" to perpetuate their own control. Research has found three consistent effects of traditional grades: students think less creatively, they lose interest in what they're learning, and they try to avoid challenging tasks. Thus, rather than trying to improve techniques for grading, we should be looking for alternatives -- and rather than complaining that too many students are getting A's, we should be worried that too many students think that getting A's is the point of school. Ultimately, though, why we evaluate students is at least as important as how we do so. Even alternative assessment may fall short if the point is to sort students or "motivate" them to get a particular rating. Alfie Kohn discusses how feedback can be constructive and informational, part of a learner-centered environment, as well as strategies by which teachers can minimize the harms of letter and number grades while they still exist. We can't blame "human nature" when children act aggressively or selfishly. Extensive research has shown that these qualities are no more natural than the impulse toward empathy or generosity. But how do we nourish those positive inclinations and help children to act on their capacity to care? Alfie Kohn, author of THE BRIGHTER SIDE OF HUMAN NATURE, discusses the roots of prosocial attitudes and actions, and invites educators to think about what promotes children's concern about others' well-being. He urges activities (and a curriculum) that enhance understanding of how others see the world, as well as a commitment to replace isolation and competition with a feeling of community in the classroom and school. Our knowledge of how children learn - and how schools can help -- has come a long way in the last few decades. Unfortunately, most schools have not: They're still more about memorizing facts and practicing isolated skills than understanding ideas from the inside out; they still exclude students from any meaningful decision-making role; and they still rely on grades, tests, homework, lectures, worksheets, competition, punishments, and rewards. Alfie Kohn explores the alternatives to each of these conventional practices, explaining why progressive education isn't just a realistic alternative but one that's far more likely to help kids become critical thinkers and lifelong learners. "The principal goal of education," said Piaget, is to create people "who are capable of doing new things" and who don't "accept everything they are offered." Critical thinking skills, however, don't necessarily promote the desire to question. Alfie Kohn will suggest ways by which we can support risk taking, build opportunities to challenge authority into the curriculum, avoid a focus on right answers, and demystify the processes of writing, thinking, and making decisions. After spending most of the day in school, children are typically given additional assignments to be completed at home - a remarkable fact, when you stop to think about it. What's more, homework in most schools isn't limited to those times when it seems appropriate and important. Rather than saying, "Doing this particular project at home may be useful," our message seems to be, "We've decided ahead of time that students will have to do something every night. Later on we'll figure out what to make them do." We know it causes stress and conflict, frustration and exhaustion. But at least, we tell ourselves, it teaches them independence and good work habits, "reinforces" what they've been taught, and helps them to become more successful learners. Or does it? In this presentation, Alfie Kohn carefully reviews the usual defenses of homework and finds that none is actually supported by research, logic, or experience. He then offers half a dozen reasons to explain why we feel obligated to administer this modern cod liver oil even though there is no evidence that it's necessary - and considerable evidence that it undermines children's interest in learning. This, in turn, leads to a closer look at our assumptions about teaching in general, and practical suggestions for rethinking what students are asked to do both during and after school. Advice for raising children typically comes in two flavors: threats (known euphemistically as "consequences") and bribes ("positive reinforcement"). Either we make kids suffer to teach them a lesson, or we dangle goodies in front of them for doing as they're told. Rewards and punishments are two sides of the same coin, and unfortunately, neither can buy anything more than temporary obedience. Manipulating children's behavior -- by means of time-outs, contrived praise, privileges offered and privileges taken away -- can never help them to reflect on the kind of people they want to be. Instead of encouraging kids to take responsibility for their actions, it makes them dependent on rewards and punishments. Rather than promoting generosity and compassion, it leads them to focus on the consequence to themselves of pleasing the adult. This presentation, by the author of UNCONDITIONAL PARENTING, will show why carrots and sticks are not only ineffective but actually counterproductive over the long haul. To raise children who are good learners and good people requires us to abandon strategies that do things to kids, in favor of an approach in which we work with them. And underlying those "working with" strategies is the message that children do not have to earn our approval, that we love them not for what they do but just for who they are. Most books and seminars for parents offer advice for getting children to be "well behaved" and to do what they're told. (These resources differ only with respect to what methods are used to elicit that compliance.) If we think beyond the current moment, however, most of us would like our kids to grow into courageous, assertive, moral people -- independent thinkers who are willing to fight injustices. The question we need to ask, then, is what we should do - or stop doing - in our everyday interactions in order to make that happen. In this talk, Alfie Kohn explores the long-term consequences for children who have been raised to obey their parents and teachers uncritically, and he offers practical ideas for helping them question what they're told, to be appropriately skeptical, and to stand up for what they believe in. In The Homework Myth, nationally known educator and parenting expert Alfie Kohn challenges the usual defenses of homework and shows that none of our assumptions about its benefits actually passes the test of research, logic, or experience. So why do we continue to administer this modern cod liver oil--or even demand a larger dose? Kohn's incisive analysis reveals how a set of misconceptions about learning and a misguided focus on competitiveness has left our kids with less free time, and our families with more conflict. Pointing to stories of parents who have fought back--and schools that have proved educational excellence is possible without homework--Kohn demonstrates how we can rethink what happens during and after school in order to rescue our families and our children's love of learning. Few writers ask us to question our fundamental assumptions about education as provocatively as Alfie Kohn. Time magazine has called him "perhaps the country"s most outspoken critic of education"s fixation on grades [and] test scores." And the Washington Post says he is "the most energetic and charismatic figure standing in the way of a major federal effort to make standardized curriculums and tests a fact of life in every U.S. school." In this new collection of essays, Kohn takes on some of the most important and controversial topics in education of the last few years. His central focus is on the real goals of education—a topic, he argues, that we systematically ignore while lavishing attention on misguided models of learning and counterproductive techniques of motivation. The shift to talking about goals yields radical conclusions and wonderfully pungent essays that only Alfie Kohn could have written. From the title essay"s challenge to conventional, conservative definitions of a good education to essays on standards and testing and grades that tally the severe educational costs of overemphasizing a narrow conception of achievement, Kohn boldly builds on his earlier work and writes for a wide audience. Kohn's new book will be greeted with enthusiasm by his many readers and by any teacher or parent looking for a refreshing perspective on today"s debates about schools. In this "lively, provocative and well-researched book" (Theodore Sizer), AlÞe Kohn builds a powerful argument against the "back to basics" philosophy of teaching and simplistic demands to "raise the bar." Drawing on stories from real classrooms and extensive research, Kohn shows parents, educators, and others interested in the debate how schools can help students explore ideas rather than filling them with forgettable facts and preparing them for standardized tests. Here at last is a book that challenges the two dominant forces in American education: an aggressive nostalgia for traditional teaching ("If it was bad enough for me, it"s bad enough for my kids") and a heavy-handed push for Tougher Standards.